Congenital pulmonary and aortic valve stenosis is a serious condition that can have different clinical presentations. Extremely serious cases present in the neonatal period with left heart failure in case of the aortic valve, and right heart failure and hypoxemia in case of the pulmonary valve. Both these conditions are critical and life-threatening without timely mechanical treatment. If the condition is not extreme at birth, compensation mechanisms become gradually established in toddlers’ hearts, guaranteeing blood flow through the stenotic valves. Right and left ventricular hypertrophy is the main compensation mechanisms for increasing contraction strength. Despite such mechanisms, however, the condition can become more serious over time, leading to intraventricular hypertension, under-development and heart failure. Even these heart conditions can be asymptomatic until adulthood. When this occurs, they are generally discovered in a routine examination due to the presence of a characteristic systolic murmur. 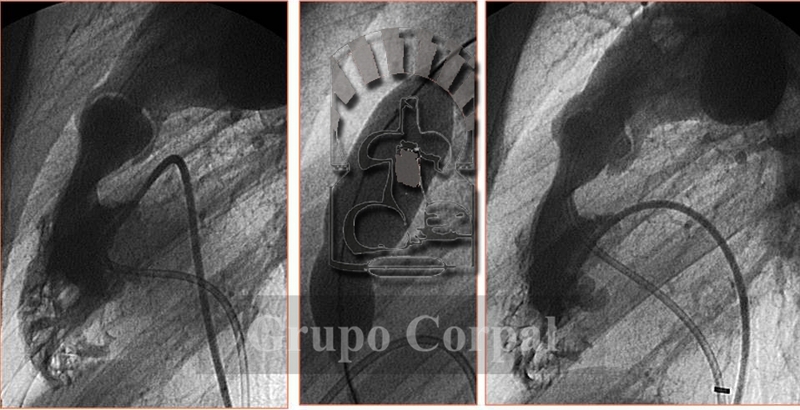 Surgery with extracorporeal circulation consists of comissurotomy and opens the stenotic valve. Since the 1980s, however, it is possible to perform percutaneous comissurotomy, thus avoiding the need for sternotomy and extracorporeal circulation. 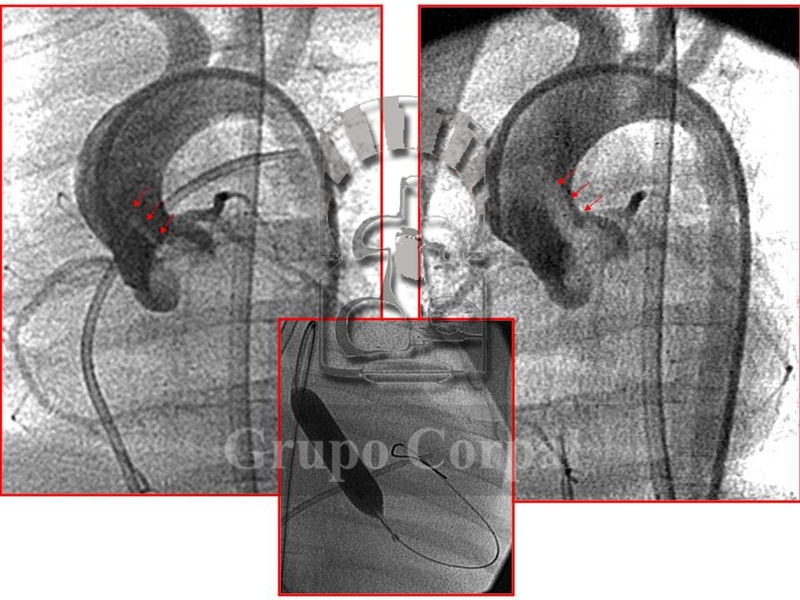 In this case, both valves are crossed with a catheter, in an anterograde manner for the pulmonary valve and retrograde for the aortic valve. It is exchanges with a metal guide, inserting a balloon catheter that is inflated with diluted contrast under pressure to open the valve (Figures…). This reduces intraventricular pressure and increases blood pressure. The outcome is similar to that of surgical comissurotomy, and patients are usually discharged 2 days after the procedure. Our group has scientifically contributed to the development of these techniques and the long-term follow-up of these treatments (link with references).